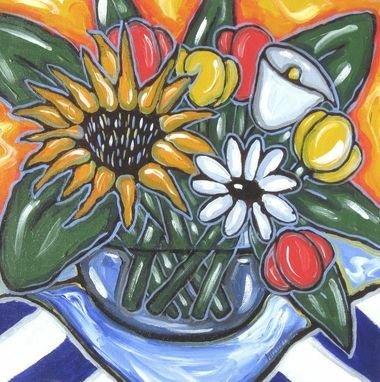 This is an original acrylic painting of garden flowers. 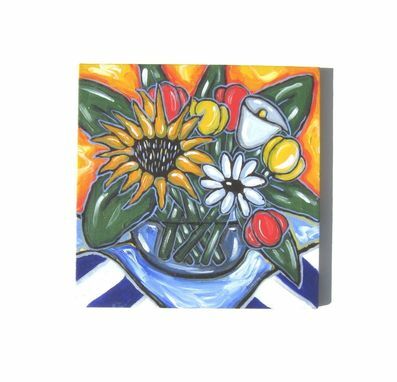 Acrylic on canvas the floral includes tulips, sunflowers, daisies and calla lilies. 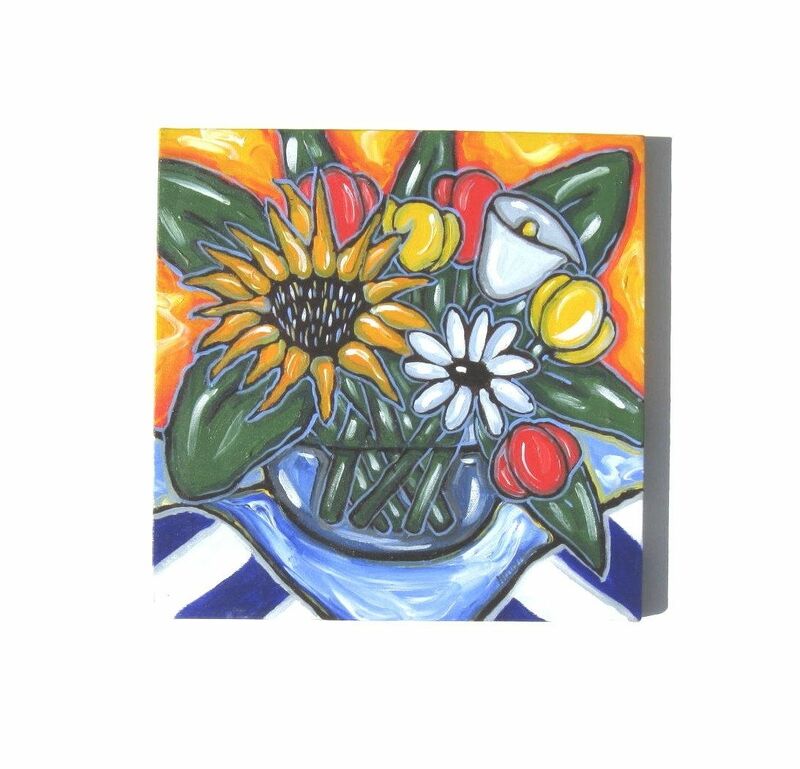 Small enough to hang or sit on a table easel, it has been painted on a standard canvas and measures 12"x12"x .05". 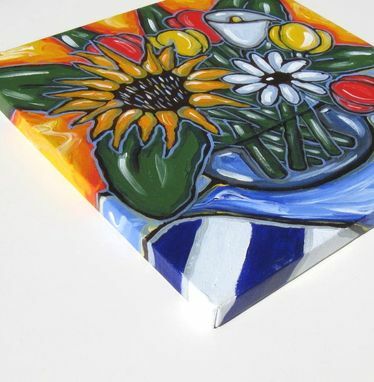 It is painted on all four sides so no framing is necessary. A sawtooth hanger on the back makes it ready to hang. Lay Away available.... and I will combine shipping. Just convo me and I will set it up.